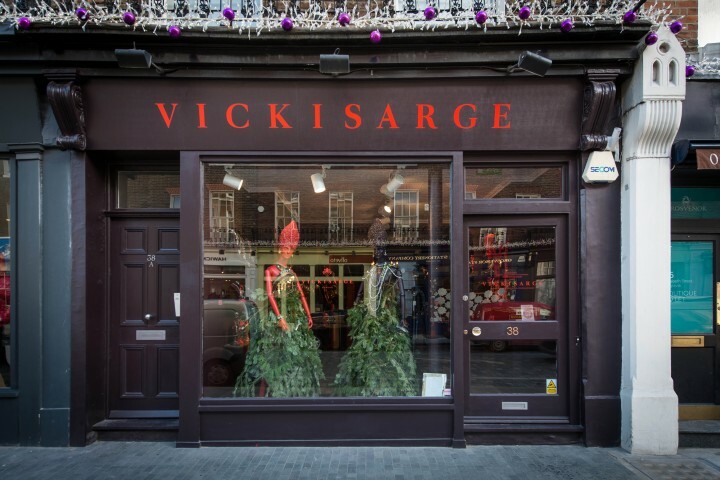 ﻿ Vicki Sarge shop | not tom. 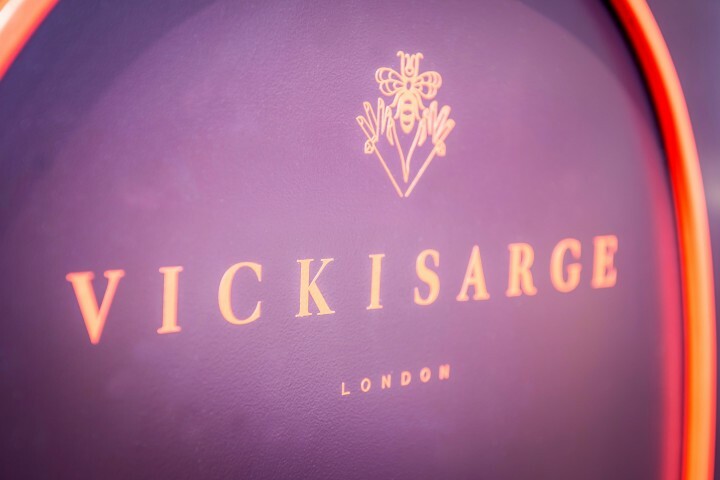 Vicki Sarge is a fashion jewellery brand that has bejewelled the likes of Beyoncé, Paloma Faith and Emma Watson in its thirty year history. For their central London boutique, they required a design to celebrate their jewellery collections, reflecting each’s individual story. We used enclaves to house the collections, distinguishing between each while reflecting the energy of the brand as a whole. 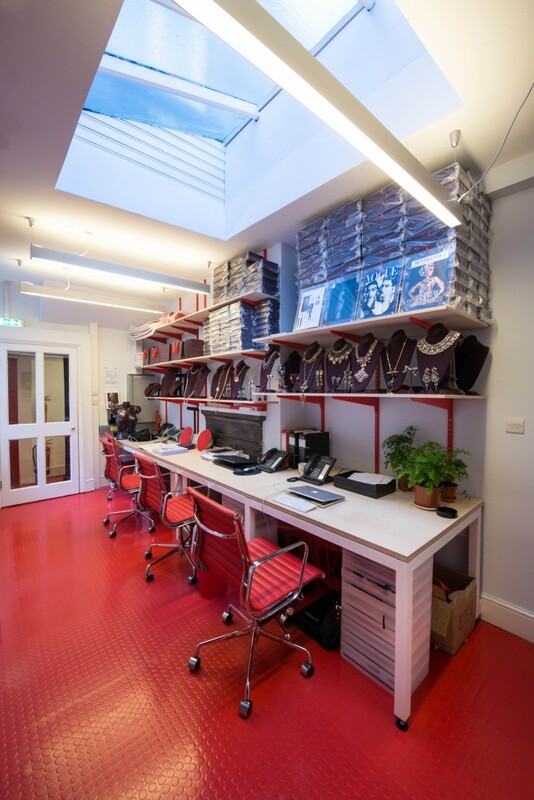 We built with a rich colour scheme that reflected the brand’s contemporary aesthetic with a 70’s twist. 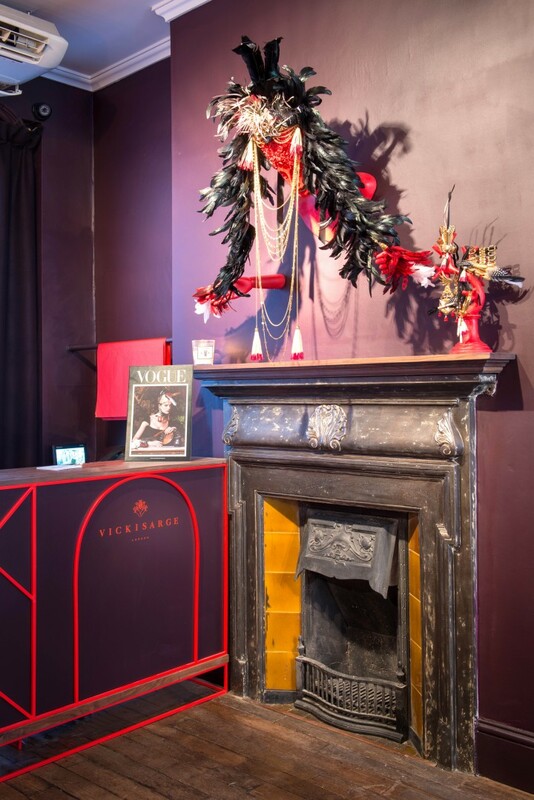 The walnut cabinets and display units partnered perfectly, and 3D artist Oriel Harwood provided flamboyant sculptures to display the jewellery and embellish the space to striking effect. Behind the scenes, we injected hints of the bold shop-floor design into the working space, amounting in a tidy renovation of the entire shop. Chris Gill. Photos by Austin Hutton.